You are currently browsing the tag archive for the ‘arrogance’ tag. SHS has some goddamn nerve to attend the event of an organization representing people she mocks & lies to & expect to walk out unscathed by the brutal truth we should be hearing from MSM but have to rely on comedians for cuz "access journalism" is the ticket for the likes of you. The cruelest thing said by @michelleisawolf was the reminder that Flint still does not have clean water. Finally watched this #WHCD thing. Did anyone notice that Michelle Wolf actually committed journalism? 1) Trump probably doesn't have much money, took millions in loans, and may be compromised by the Russians. 2) Flint still doesn't have clean water. Better than most TV news. Bloomberg: Keep your dictatorship out of my dictatorship! and the editorial that goes with it. With the rash of whacky medical wisdom coming from Hollywood, someone, at least NY POst needs to say STFU! Movies should NOT talk back! “I know only five of you in here have actual press credentials,” Bloomberg reportedly quipped, a reference to his office’s assertion that a mere five of the twenty-six journalists arrested overall displayed city-issued press passes. One of the gifts was a tarp that Seifman said “they picked up from the Sanitation Department on the West Side,” Khan recalled. This, of course, was a mocking reference to the NYPD’s forced seizure of tarps, tents, laptops, and many other items in Zuccotti Park, which were thrown into sanitation trucks and dumped in a massive pile at a warehouse-type facility on West 57th Street. 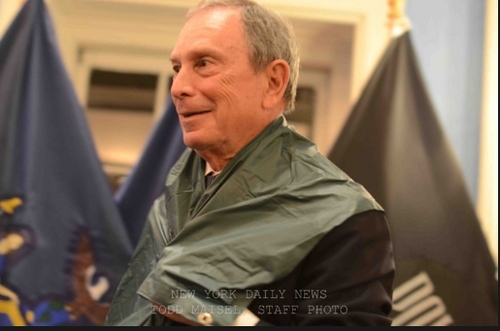 Bloomberg draped himself in the tarp and posed briefly with it, attendees said. 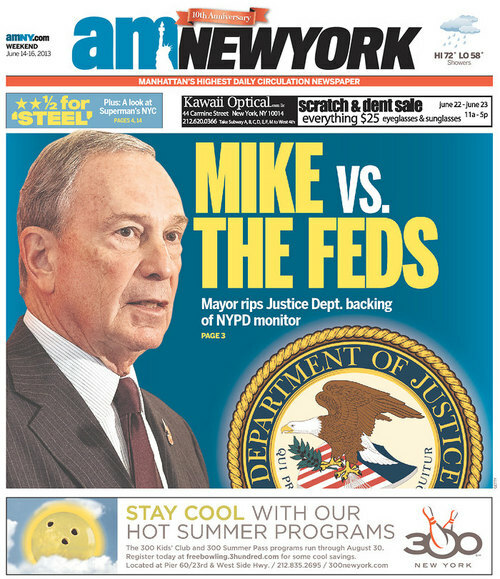 Todd Maisel of the New York Daily news tweeted a photoof Bloomberg smiling from ear-to-ear. I found it interesting that while his henchmen were worried about the “optics” of such photo, Bloomberg didn’t care. After all, he has an army, why should he?